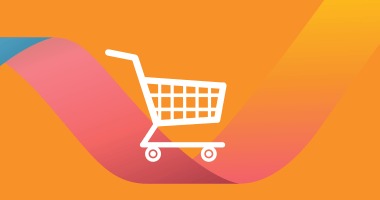 Charlie looks at the Russell Hume meat scandal, including the organisation's response and the implications of having a single supplier for one of your key products. This week I thought I would take a break from promoting 3gBC and provide some observations on the Russell Hume meat scandal. Although the incident took place last month, the implications are still being felt throughout the food industry. Following a routine inspection of Russell Hume’s Birmingham factory in January, the Food Standards Agency (FSA) asked the company to stop production, because the Derby-based supplier were “unable to demonstrate compliance with food hygiene rules at its locations”. The story majorly broke in the news when the Chairman of JD Wetherspoon, Tim Martin, apologised to his customers, saying that the company’s flagship Tuesday steak night was cancelled, because they had no supplies of rump, sirloin or gammon. Russell Hume was the single supplier of all their meat. Production at the Russell Hume plants has since been resumed, but they have lost some of their biggest customers. Whilst I can find no evidence on the web, I wonder if the company will survive. The biggest lesson I have seen from this scandal was the complete inability of the company to communicate anything about the incident. When the Wetherspoon trucks turned up at the factory to collect their weekly meat order, there was merely a notice on the gate saying that the factory was closed. Throughout the incident, the company appears not to have engaged with its customers and definitely not with the media. In media interviews on TV about the incident, there was a representative from the FSA and JD Wetherspoon, but nobody from Russell Hume. The company’s entire website has been taken offline and their Twitter feed has not been updated since 2017. The impression was that they were completely unprepared for an incident and were caught like a “rabbit in the headlights”, hoping that by ignoring the scandal it would go away. We all know that burying your head in the sand does not make an incident go away, negative comments and rumours will fill the void if you don’t defend yourself and failure to speak to your customers is likely to make the incident worse. I hope that if you are reading this bulletin you have plans in place for incident management and product recall, if it is relevant to your industry. Do you have the ability to change your website very quickly if your company is affected by an incident? I was speaking to an old friend recently, who is a security manager for a number of malls in the Middle East. I asked him if, in the event his organisation had a suicide bomber and multiple deaths in one of their malls, could they change the mall’s website from a sales tool promoting the mall to something much more sober, to show their respect for those who died. If your organisation has a major incident or perhaps a cyber-loss of data, could you quickly change your website to take into account the response to the incident? Sites which can be switched on during an incident are called dark sites and have been ready for a long time for the airline industry, who switch them on if they have an aircraft crash. In light of limited information from their meat supplier, Wetherspoon demonstrated good incident management principles and put their customers first rather than profit. The Chairman said “Our decision to stop serving steak from Tuesday 23rd January, despite limited information from the supplier, was the correct one. Steak is one of the most popular dishes on our menu, and we serve around 200,000 per week on average, about half of these on our extremely popular Tuesday night steak club.” They may take a financial hit in the short term, but their reputation will stay intact. This incident demonstrated the danger of going for a single supplier for one of your key products. Procurement staff would say it saves money, but if your supplier fails a quality test it has a very quick impact on the company. It would be interesting to know if Wetherspoon did independent monitoring of their supplier to check the quality and on-going supply of one of its key products. 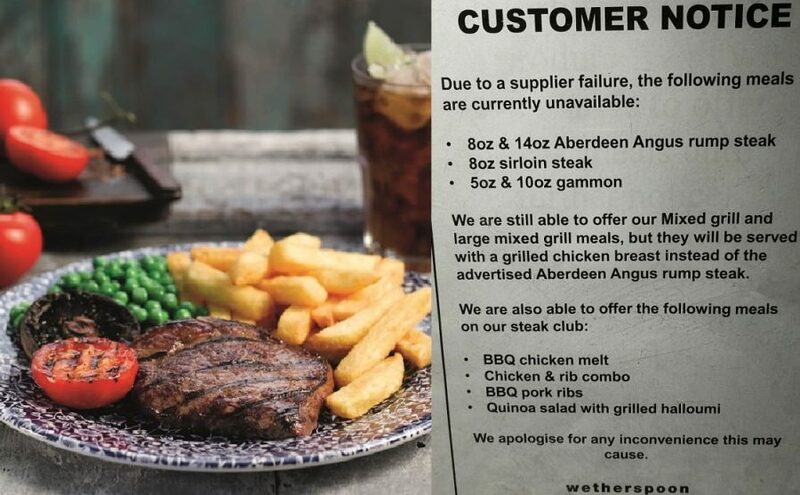 As industries consolidate, incidents affect a larger number of customers; this event affected not only Wetherspoon, but also Jamie’s Italian, Tiger Tiger, Marston’s pubs and Butlins. My last point is about the food industry. Ever since the horse meat scandal, the government and the FSA have been very sensitive about meat production. At the moment there is great sensitivity about sexual impropriety and, whether you are an organisation or an individual, you don’t want to become another scandal in the media. If your industry is in the spotlight, then you need to make sure you increase your efforts to make sure that you do not have an incident, especially when the media and regulators are trying to catch people and make examples of them. As we all know, the best managed incident is one which never happens. Is it a beef burger?